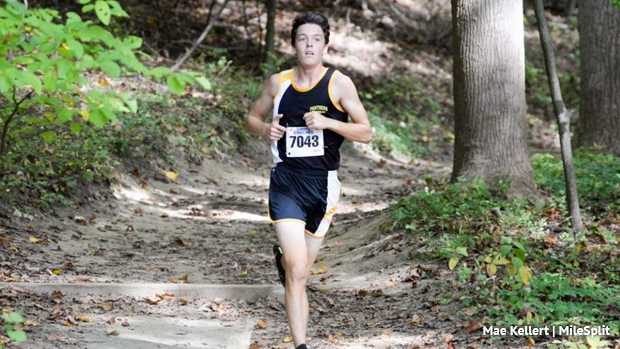 Devin Hart of Point Pleasant Boro torched the trails at Ocean County Park with a blistering 14:51, tied No. 3 in course history, to win his second straight boys title, Southern swept the team titles, and Jade Tricomy of Toms River South repeated as girls champion at Thursday’s Ocean County Championships in Lakewood. Hart, a junior who won the 3,200 at the Meet of Champions last spring, solidified his status as the favorite to win the M of C next month with his epic run as he finished 23 seconds in front of Damien Dilcher of Brick Township. Only Mike McClemens of Christian Brothers Academy who ran a course record 14:43 in 2013, and Dylan Tarpey of Freehold Township, second in 2013 in 14:49, have run faster at OCP than Hart. Hart is now tied for third with Blaise Ferro of CBA, third in 2013 in 14:51. Four runners broke 15 at the 2013 Shore Conference Championships, which was one of the fastest XC races in U.S. high school history. Hart will get another shot at the OCP course record at the Shore Conference meet next Thursday. Tricomy, who won the county and Shore Conf. titles as a freshman at Toms River North last year, dropped a 17:59 to win the girls race by 71 seconds. Both teams race were close. In the boys competition, Southern went 5-6-7-14-24 and averaged 16:26 to defeat Jackson, 56-66. It’s the second straight title for Southern, and its fifth in the last six years and seventh overall. In the girls race, Southern went 7-8-10-14-16, put its fifth in front of Toms River North’s No. 4 and averaged 20:01 on the way to a 55-62 win over TRN. It’s the second title in three years and the fifth overall for Southern.